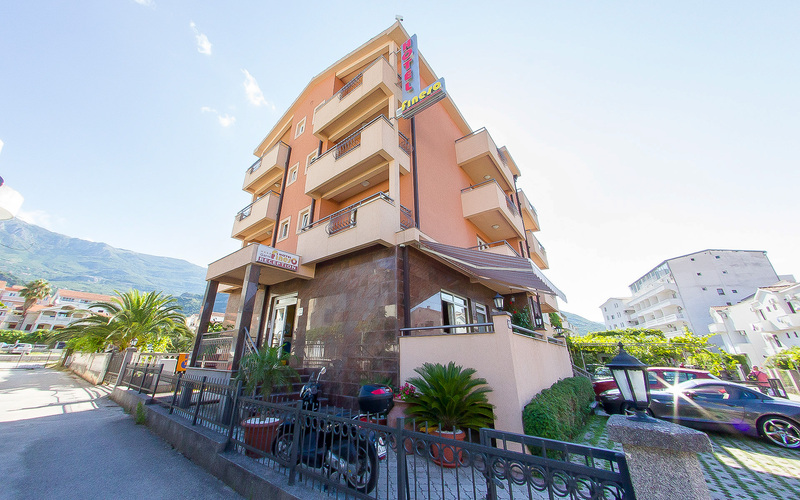 Garni Hotel Fineso is new family hotel, situated in the center of Budva. It is located near the main bus station and Ambulance, and it is only on 5 minutes walking distance from the beach and promenade. 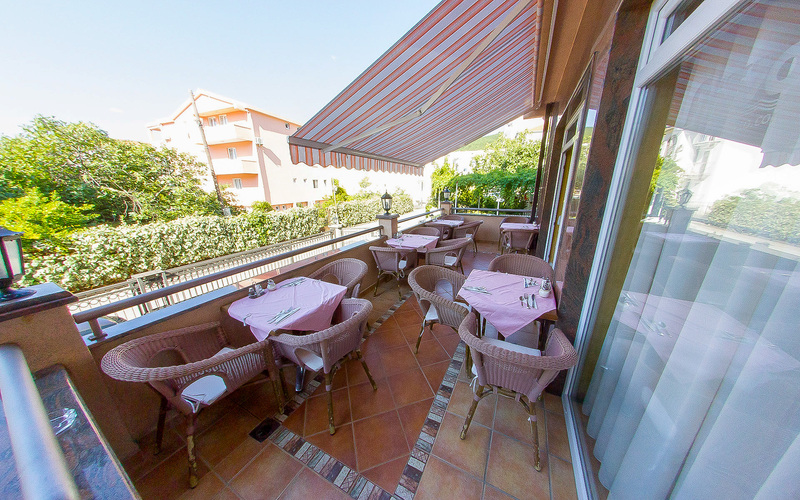 The hotel has 17 modern, comfortably furnished rooms and apartments with all necessary equipment and accessory. All rooms are air-conditioned and they contain mini-bar, safe, cable TV, direct telephone line and Wi-Fi, radio-alarm clock, hairdryer, bathrobe, towel dryers and smoke detectors. 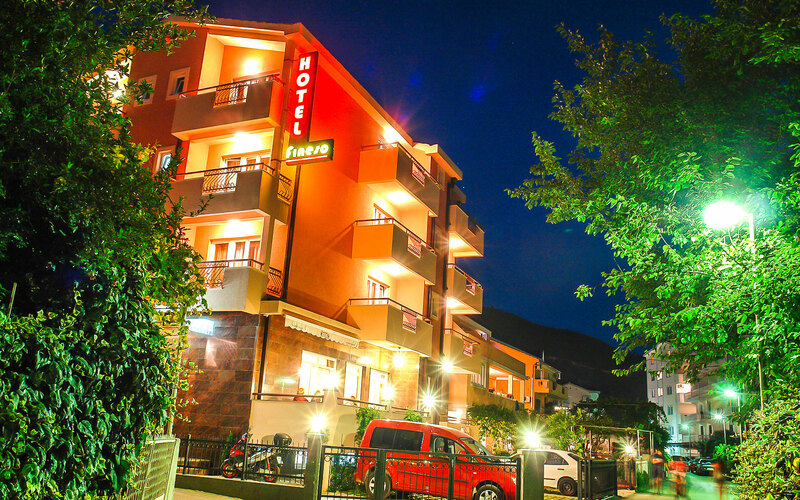 Kind and friendly hotel`s staff will make your stay in Budva amazing! Rooms and apartments are part of three floor building and each unit has a lovely balcony with a view showing the surroundings. There are different room types: 9 double rooms, 5 triple rooms and 3 family apartments. 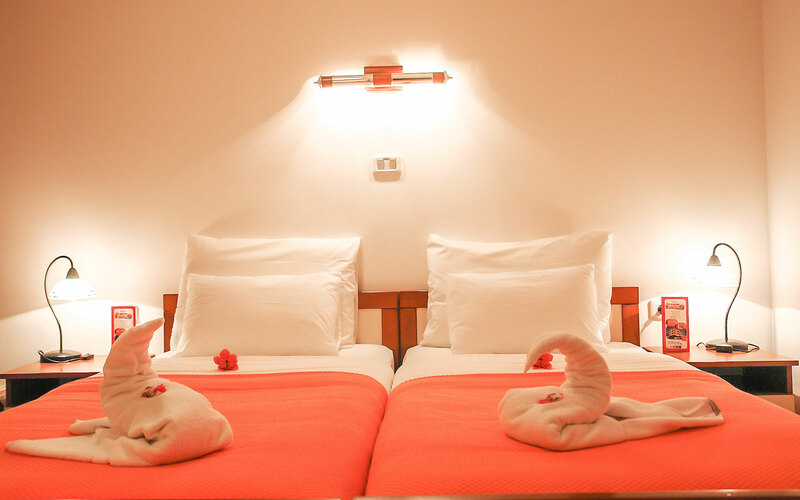 All rooms are comfortable, air-conditioned and they contain mini-bar, safe, cable TV, direct telephone line and Wi-Fi, radio-alarm clock, hairdryer, bathrobe, towel dryers and smoke detectors. 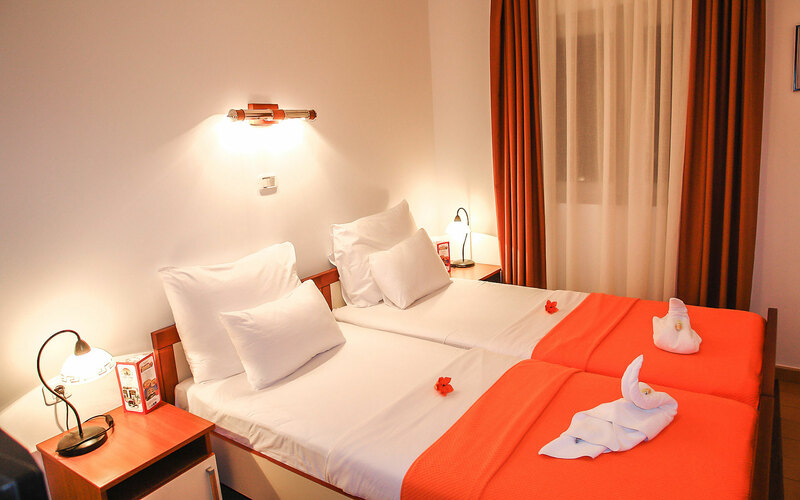 Double rooms are comfortable, air-conditioned and they contain mini-bar, safe, cable TV, direct telephone line and Wi-Fi, radio-alarm clock, hairdryer, bathrobe, towel dryers and smoke detectors. Triple rooms are comfortable, air-conditioned and they contain mini-bar, safe, cable TV, direct telephone line and Wi-Fi, radio-alarm clock, hairdryer, bathrobe, towel dryers and smoke detectors. Family apartment consists of an entrance hall, a bedroom, a living room with two additional beds/two sofas, a bathroom and a balcony. Family apartments are air-conditioned and they contain mini-bar, safe, cable TV, direct telephone line and Wi-Fi, radio-alarm clock, hairdryer, bathrobe, towel dryers and smoke detectors. Children under 2 years – free of charge! In line with antique historical sources, written heritage and rich archeological material, Budva is one of the oldest urban centers at the Adriatic, over 2,500 years old. A lot of monumental heritages from Antique and Middle Ages are proofs of continuing and active life of this antique town. Illyrians, i.e. this Illyrian tribe Enhelian, are the oldest autochthon people of Budva.